In addition to company listings the ESOMAR Directory provides the opportunity to promote your organisation with banner advertisments. 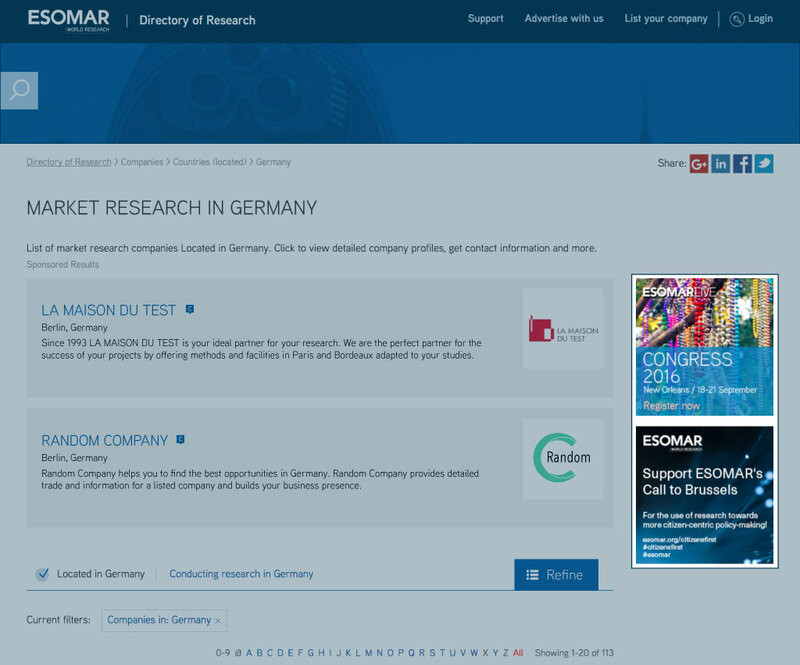 ESOMAR provides the opportunity to place 220 x 220 px banner advertisements on the ESOMAR Directory homepage and on the results page of all pre-defined searches. Who can place a banner advertisement in the ESOMAR Directory? 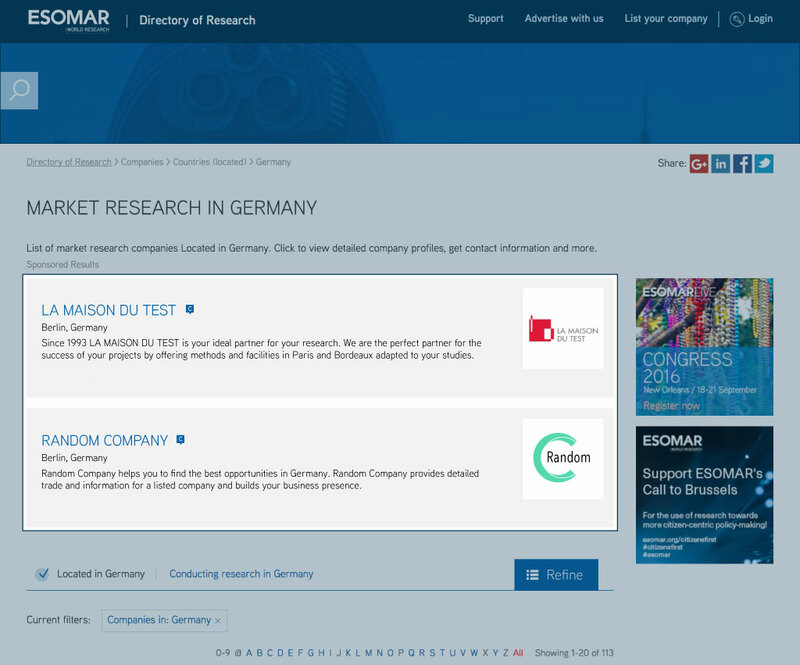 Only companies who have a listing on the ESOMAR Directory can place banner advertisements. If you wish to place an advertisement and you are not listed in the directory contact the team at directory@esomar.org or call: +31 20 589 7832. Online Advertising is only available for periods of 6 or 12 months. The two placements have separate pricing, rotation and technical specifications, more details are available below. See here a preview of what the advertisement on home page will look like. 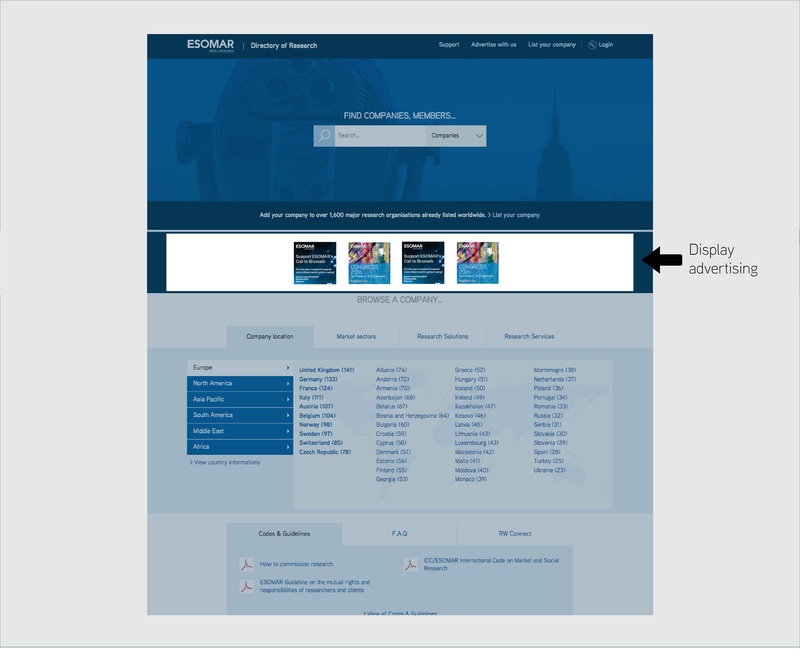 Advertisments can be placed on the results page of pre-defined country or research specialisation search. See here a preview of what the advertisement on search result page will look like.